According to Polygon (via Bloody Disgusting), video game creator Scott Cawthon has revealed that Blumhouse and Universal Pictures’ forthcoming live-action adaptation of his popular horror game Five Nights at Freddy’s has been briefly delayed due to his dissatisfaction with the first script he had written. Cawthon also shared that the new script the he has been working on will be based on the first three Five Nights at Freddy’s games. Chris Columbus (Home Alone, Harry Potter, The Witch) is set to helm the adaptation and will also served as the film’s producer alongside Blumhouse’s Jason Blum and the video game’s creator, Scott Cawthon. Five Night’s at Freddy’s challenges players to survive for five nights as a security guard in a demented pizza entertainment restaurant where homicidal, possessed animatronics roam the halls in search of their next victims. The first game in the series launched in August of 2014 and quickly became a sensation online, inspiring countless Let’s Play videos. A sequel was released in November of the same year, followed by third and fourth entries in 2015, a fifth game in 2016, and a sixth game last year. The series has played with non-linear and non-traditional storytelling throughout its continuity with the fourth game actually being the first in the timeline, the first game arriving in the middle of the continuity, and the most recent, Freddy Fazbear’s Pizzeria Simulator, being the final chapter (for now). The underlying story of the franchise is very cryptic and hidden throughout the games, giving the upcoming film the opportunity to expand on and confirm the story details. 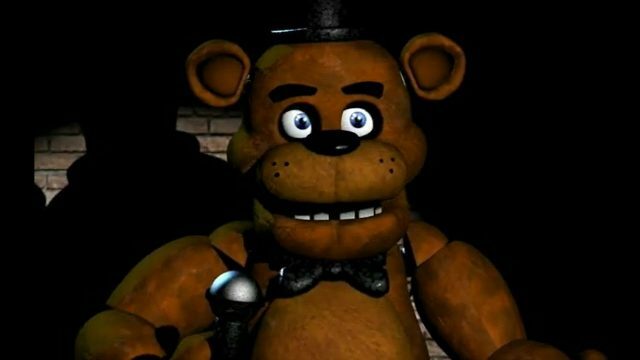 Mini-games throughout the series have offered clues to the underlying story of what caused the animatronics of Freddy Fazbear and his friends to haunt the location, pointing toward a decade-spanning child murderer and the return of his victims from beyond the grave. The post Five Nights at Freddy’s Movie Delayed as Creator Rewrites Script appeared first on ComingSoon.net.